That’s a philosophy that has served Jerry Brown well over the years. He started an On Hold Marketing agency in 1989 before he even knew that a few other start-ups around the country were doing the same thing. And as BusinessVoice became a viable agency, Jerry and his agency emerged as thought leaders in the areas of sales, program development and content creation. He attracted the attention of many competitors who followed in his footsteps to build their own businesses. Jerry grew his niche company into a family of specialized agencies called MadAveGroup. That growth began with the founding of WebArt, which does more than just build websites. WebArt works to develop, implement and manage digital marketing programs for overwhelmed marketing departments. Jerry helped to identify that specific market, and now the WebArt team focuses on meeting that need. More agencies followed. SensoryMax is a pioneer in the Scent Marketing industry, positioning scent as a tool that contributes to brand recall and an improved customer experience. Today, SensoryMax employs sight, sound and scent in the lobbies, showrooms and stores of brand-focused organizations. There’s d2i, a branding, advertising and design group that specializes in refreshing, elevating and transitioning company identities and consolidating multiple brands. And there are others, including MadAveCollective - a marketing agency for non-profits - and MadAve Marketing Management. Most of those agencies have been built on contractually obligated recurring revenue, a concept unique to marketing agencies. Rather than approach clients for individual projects, Jerry and his staff grew long-term relationships by providing multi-year programs. He also led by offering our services and expertise as an option to companies considering hiring one or two of their own marketing employees. Jerry has perpetuated his thoughts through his agency staff, by working with clients, and through training and speaking engagements. Today, his agencies’ work affects the senses of tens of millions of people every day. Jerry’s held many offices, including President of American Advertising Federation Toledo and Chairman of the On Hold Marketing Association, now known as the Experience Marketing Association. 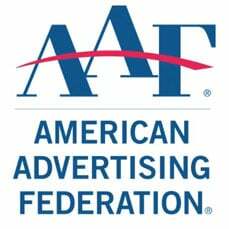 In 2012, he received AAF Toledo’s highest honor, the Silver Medal Award (Watch the video). And in 2016, he was inducted into Northwest Ohio’s Entrepreneurial and Business Excellence Hall of Fame (Watch the video). "Seldom have I come across the expertise that I have found in Jerry Brown. He is an expert who knows exactly what customer experience is all about. His development of what he calls ‘Point of Entry Marketing’ is what all business should be looking at." - Pete Turpel, President and CEO FifthScent, NODAD, Inc.